Are you tired of failed romantic relationships and friendships? Have your previous partners told you that you are "too possessive" or "jealous"? Do you feel yourself burn with jealousy when you see your partner talking with some attractive acquaintance? Do you go through your partner's things or demand detailed explanations of where they have been? Most people know this isn't the foundation for successful relationships, and they would like to stop reacting this way, but how? Author Jessica Riley outlines a 10-step plan for overcoming these hang-ups. 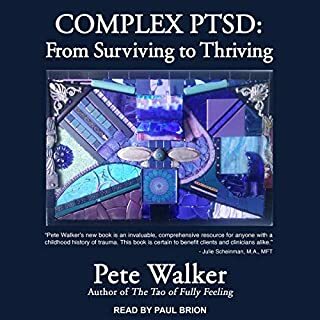 Available for the first time in audiobook, this follow-up to the phenomenally successful Men Who Can't Love tackles the issue of commitment phobia, that persistent obstacle to truly satisfying contemporary relationships. Authors Stephen Carter and Julia Sokol explore why modern men and women are torn between the desire for intimacy and the equally intense need for independence. 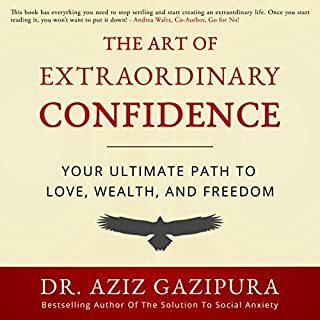 Drawing on numerous interviews and real-life scenarios, and written with humor, insight, and the kind of wisdom gained by personal experience, He's Scared, She's Scared offers guidance for all of us who want genuine, sustained intimacy. Change the story. Change your life. From imagined catastrophes to play-by-play interpretations of others' behavior, we are expert storytellers, quick to fill in the blanks. Unfortunately, all too often our behavior is determined by baseless suspicions, which trigger needless pain. Real life passes us by as we fall for powerful fantasies of our own creation. It doesn't have to be this way. 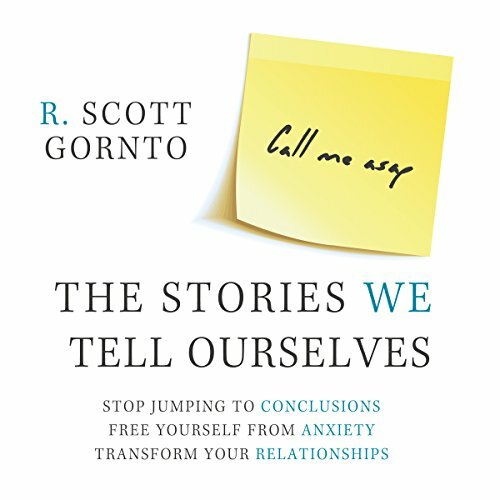 In The Stories We Tell Ourselves, author and therapist Scott Gornto shows us how to break the cycle of false assumptions that lead to unnecessary anxiety. By taking control of our reactions to the people around us, we can learn how to be truly present in our lives as we nurture the relationships that matter most. Based on more than 20 years of research and experience, Gornto demonstrates how family narratives, media, and past experiences shape compelling storylines that blind us to reality and wreak havoc on our relationships. 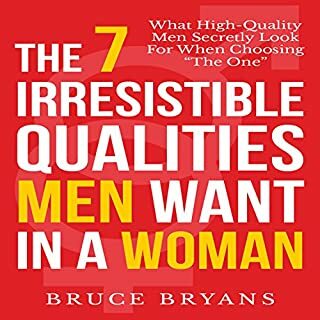 Through persuasive examples, he models fresh, life-enhancing approaches to engaging with friends, business associates, and loved ones alike. Don't waste your life making up stories. The Stories We Tell Ourselves is a wake-up call and a compassionate, accessible guide to transforming your relationships - and your life. The writing needs more editing. “Some people do X better than others, but others don’t” kinds of ugly grammatical constructs. But the real problem here is that the narration and audio editing is literally the worst I’ve heard so far. Inconsistent energy and tone in delivery; a couple audio editing errors where phrases are repeated. Very distracting. Buy the book and read it instead. oh man! the teachings in this book have changed my life for the better! this is a book I will read over and over again! Very insightful with direction. 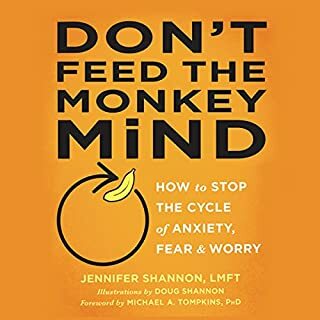 I've done many years of therapy and wish I would've had this book sooner. Will most likely listen again. Worth every minute! I had big trouble paying attention while listening to this one. I only made it an hour or two into the book, at 2x speed. The content seems good and relevant, but there's something about the way it's written, that made it feel like a haphazard blizzard of thoughts and separate sentences. At first, I couldn't put my finger on it, but then realized it's due to the author's writing style: it feels as if each sentence is a tweet, and the book is made up of chapters, each one featuring tweets read in succession, organized by hash-tags. So it feels like going to Twitter, putting in f.e. #relationships and reading aloud, down the list of related, yet disconnected tweets. On-topic, off-putting after a minute or two. In other words: the book lacks structure, and a proper flow. Too many periods/dots/full stops, too few commas. Practically saved my relationship and my sanity! A sensitive wake up call about the importance of communication and presence in relationships. Practical examples and honest approaches to some of life's more difficult situations. 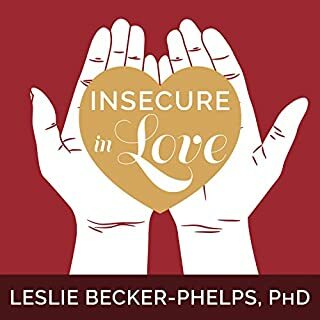 Highly recommended if you just can't find the words and thoughts you need to get your relationships back on track.